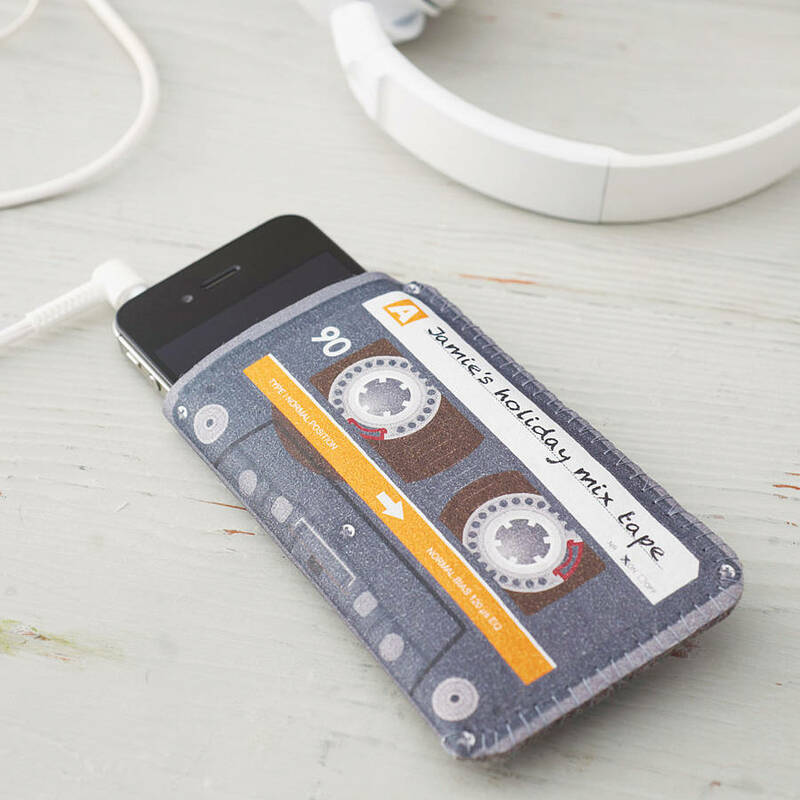 Re-live your school memories with the Mix Tape phone case from Crank. Personalised and made to fit all phone models. 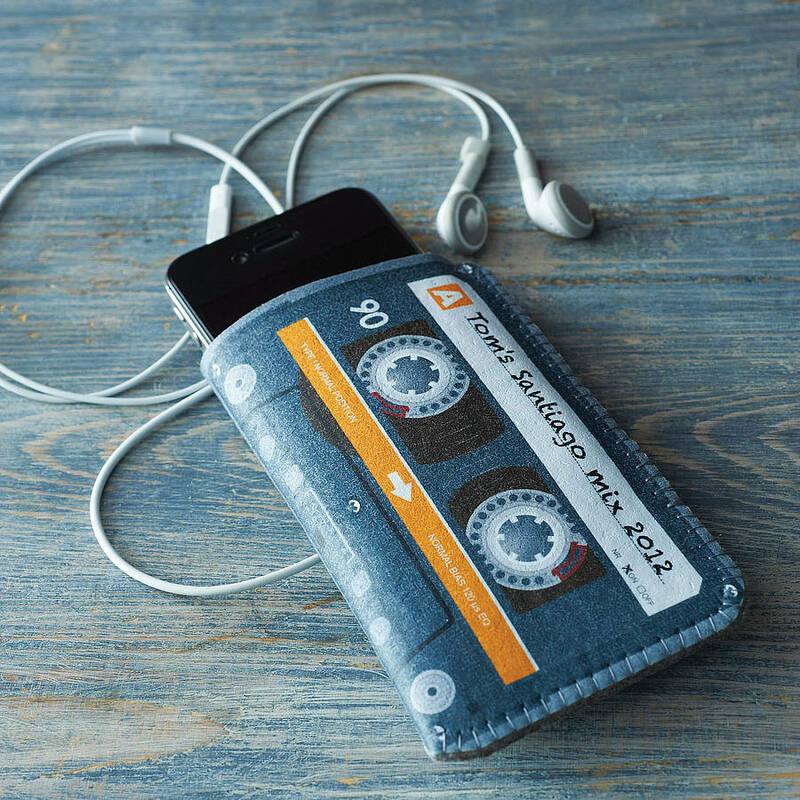 Crank makes unique handmade phone cases for all iPhone, Sony and Samsung models including iPhone 7, iPhone 6/6S, iPhone 5/5S/SE, Galaxy S7 and more. Simply let us know your phone make and model and we will make custom make the case for you. Message personalisation options are available on the right to allow you to feature your own message on the case. Messages will be written in black on the white strip, as shown in the images. If no personalisation is selected, the standard "Mix tape" message would be written. The case will be made to fit any phone. Each Crank case is hand-made from start to finish from the best sustainable materials available and will ensure a good fit. A very durable, long-lasting and scratch-free felt with a thin fade-resistant coating on top. 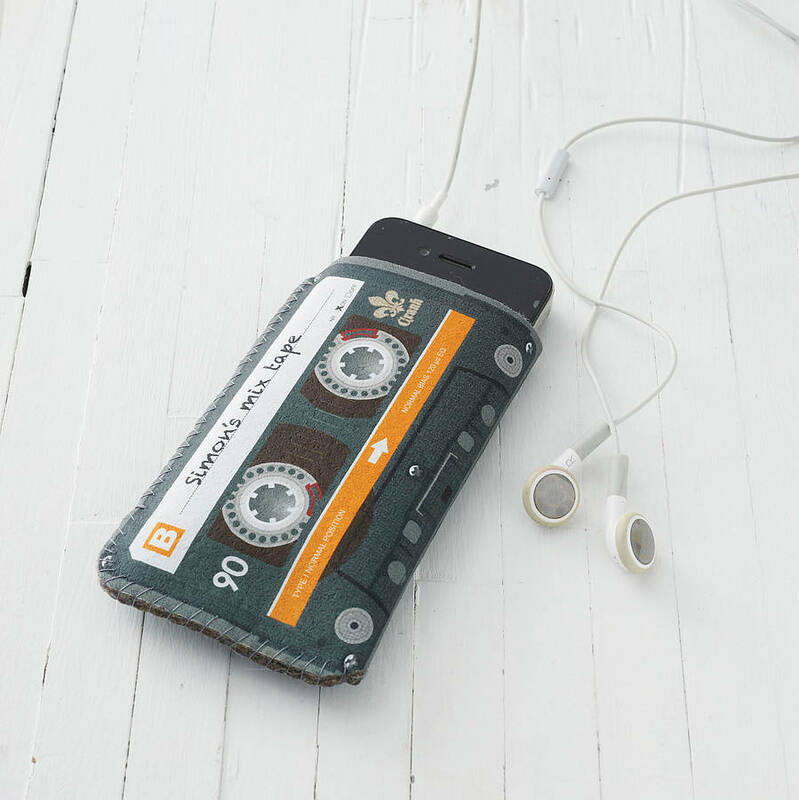 Made to fit virtually any phone. This product is dispatched to you by Crank.